Green superfoods are rich in vitamins, minerals and other nutrients, but we can't always eat enough of them in our regular diet. 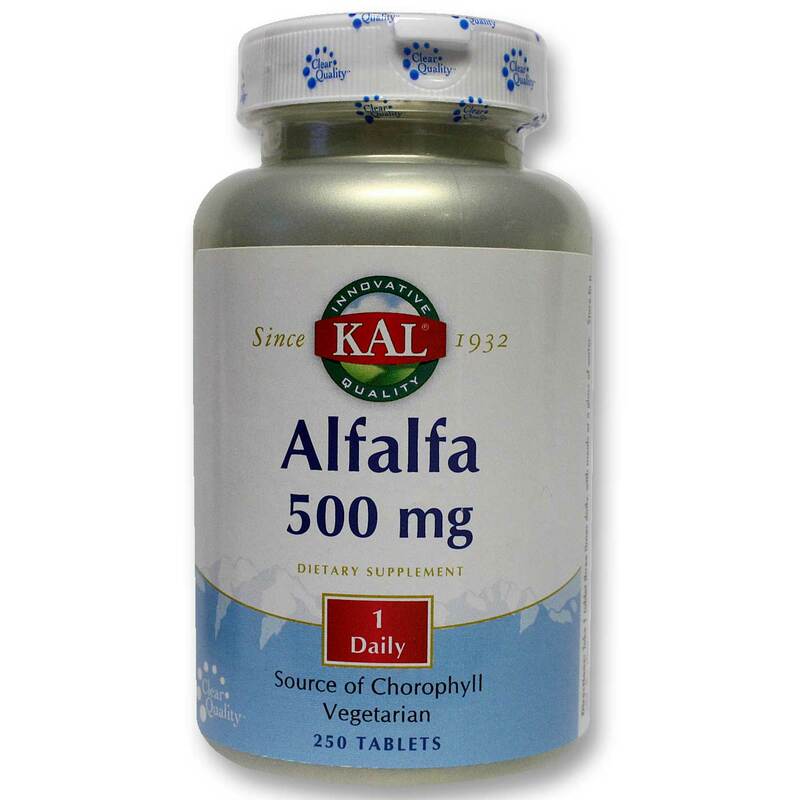 Alfalfa 500 mg from Kal gives you all the advantages of adding alfalfa to your diet. 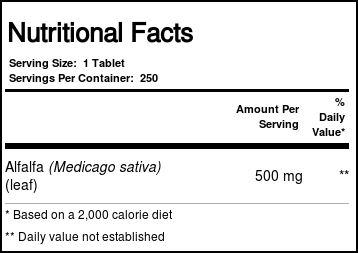 The alfalfa herb (Medicago sativa) is native to the Middle East, where it is known as the "Father of All Foods." Rich in vitamin A, chlorophyll and minerals, alfalfa is among the most beneficial green foods for antioxidant protection and boosting the immune system. 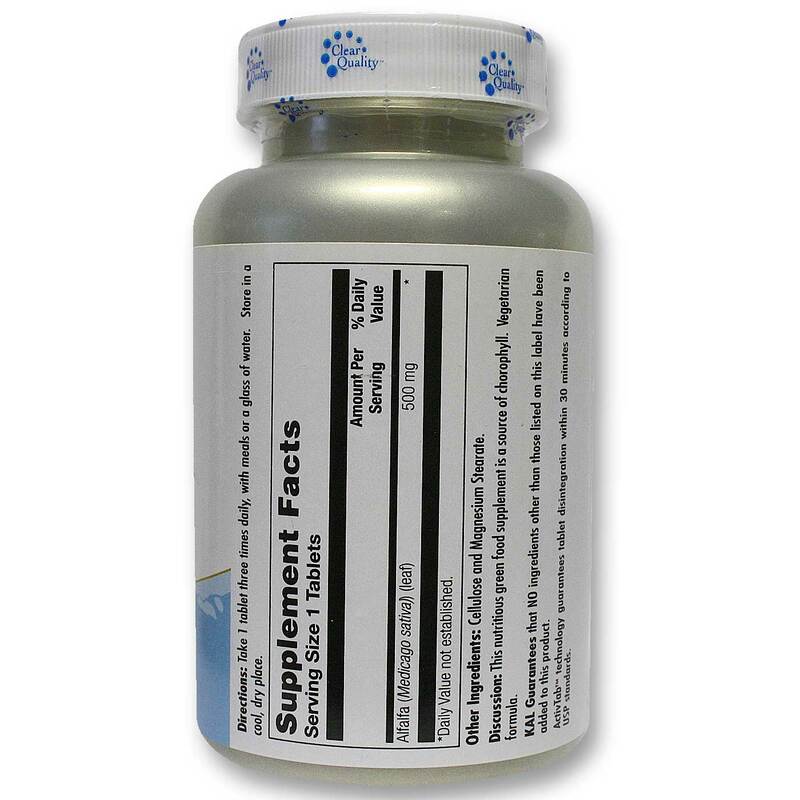 Kal's Alfalfa 500 mg can be taken daily for optimal nutritive support for overall health and longevity. 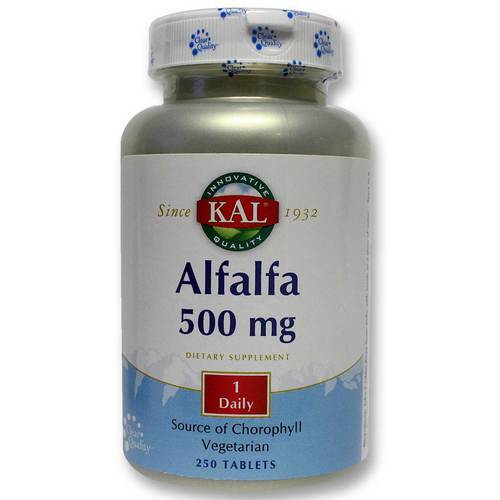 Get all the benefits of this green superfood with Alfalfa 500 mg from Kal. Try it today at eVitamins! 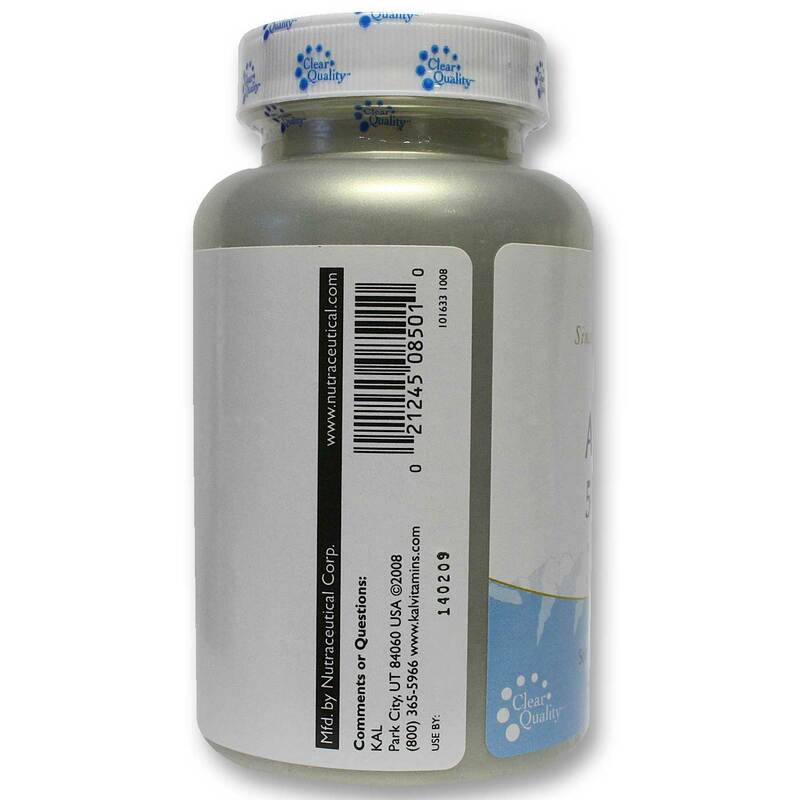 Recommended Use: Take one tablet three times daily, with meals or a glass of water.